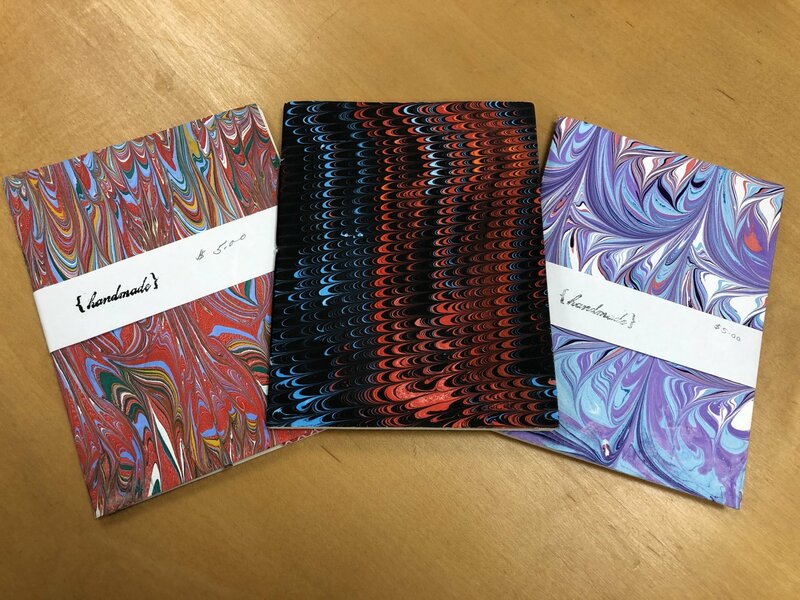 Beautiful hand-bound books! All books have blank pages. The mini's measure approximately 4.25" wide and 5.5" tall. The small size books are approximately 4" by 4.5". Medium size books are approximately 4.5" by 5.5". Large size books are approximately 5.5" by 8". No two are exactly alike. Allow us to choose one for you, or you can call the shop for more details.